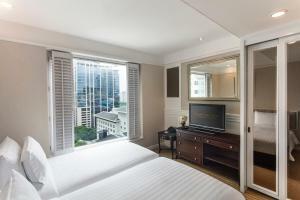 Grande Centre Point Hotel Ratchadamri Bangkok is located in central Bangkok, a 5-minute walk from Ratchadamri BTS Skytrain Station. It features an outdoor pool, spa and spacious accommodation with free WiFi access. The luxurious rooms and suites come with modern décor and are furnished with several facilities. They include flat-screen TVs with cable channels. 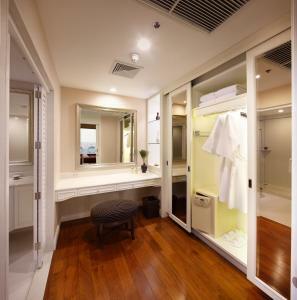 Bathrooms come with a shower, free toiletries and slippers. Grande Centre Point Hotel Ratchadamri Bangkok is a 7-minute walk from Chit Lom BTS Station and a 6-minute drive from Silom MRT Station. Suvarnabhumi Airport is a 54-minute drive from the hotel. Guests can work out at the fitness centre or relax in the sauna. Daytrip and sightseeing arrangements can also be made at the on-site tour desk. For added convenience, a chargeable airport shuttle service can also be arranged. Local and international dishes can be enjoyed at mesAmis Restaurant. Please note that any type of extra bed or baby cot is upon request and needs to be confirmed by the hotel. 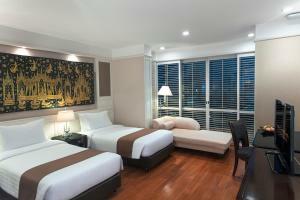 The refundable deposit THB 1,000 per room per night will be charged upon check-in. Please present the same credit card used to guarantee your booking when checking-in at the hotel. Cardholder name must also match with guest’s identification document or guest may be asked to pay with alternative method. A damage deposit of THB 3000 is required on arrival. You should be reimbursed on check-out. This room type has no capacity for an extra bed. Rate: THB 4898.02 ... THB 22351.10; select dates below to get current rates. Suite features a separate dining and working area. 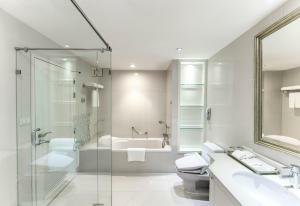 Bathroom has a separate shower and bathtub. 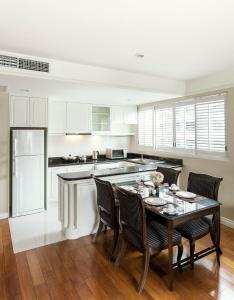 Spacious suite features a separate living area and a kitchen. 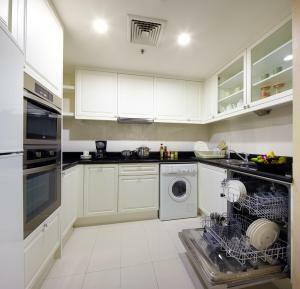 This suite has a dining area, electric kettle and washing machine.